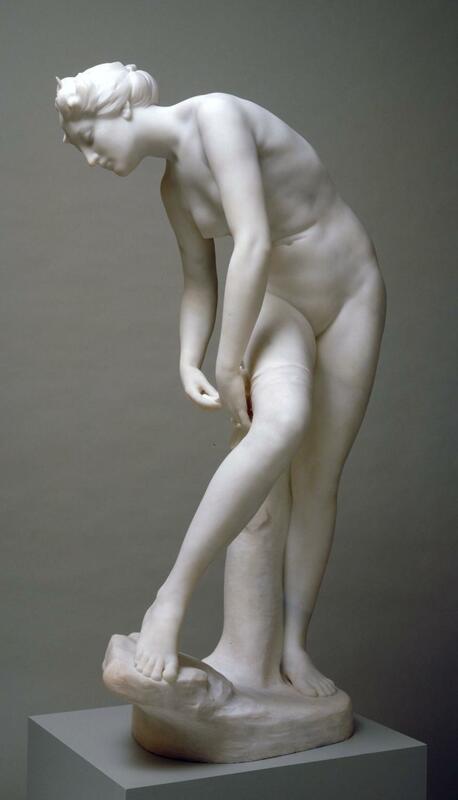 Born in Melbourne, Australia in 1863, Bertram Mackennal’s parents were both Scottish and his father was a sculptor. He encouraged Bertram and after studies at the Melbourne National Gallery, he was advised by a visiting English sculptor to go to Europe. He left for London in 1882 to study at the National Gallery Schools and in 1884 visited Paris for further study where he married a fellow student, Agnes Spooner. He returned to Australia as he had won a competition for the sculptured reliefs on the front of Parliament House, Melbourne. Whilst there he met Sarah Bernhardt who strongly advised him to return to Paris, which he did in 1891. His full-length figure “Circe” was exhibited at the Royal Academy where he was the first Australian to exhibit there. 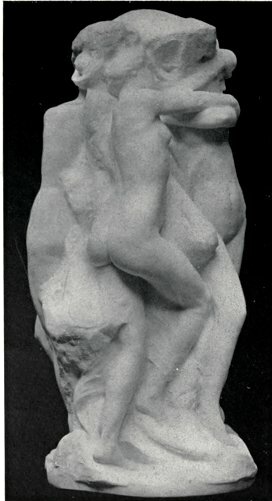 In 1907 his marble group “The Earth and the Elements” was purchased for the National Gallery under the Chantrey Bequest . In 1908 his “Diana Wounded” was also bought for the nation. These two purchases brought him into prominence and he was elected an associate of the Royal Academy in 1909, the first Australian accorded this honour, ( and elected RA in 1922.) 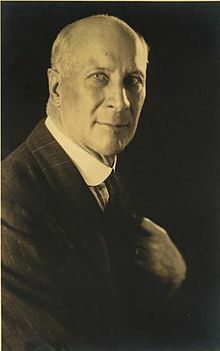 He was also the first Australian artist to be knighted in 1921. From 1895-1903 he lived at 87a Clifton Hill and from the following year until 1925 at 38 Marlborough Hill. There is no evidence that he lived in Mackennal Street in St Johns Wood which runs south of Allitsen Road. 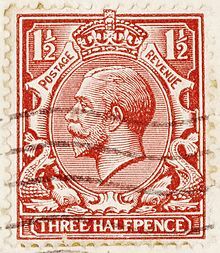 He designed the medals for the 1908 London Olympic Games and in 1910 Mackennal designed the Coronation Medal for King George V and also the monarch’s head on the new coinage and postage stamps. His initials, B.M. can be seen on the truncation of the King’s neck on the obverse of all British coins of George V.
This page was added on 21/11/2016.